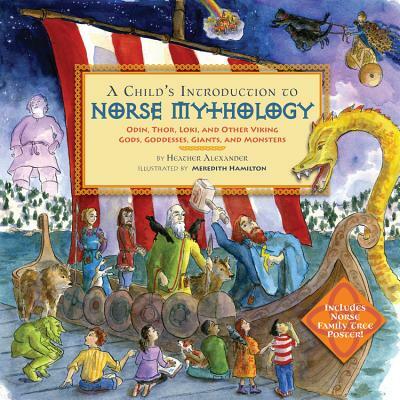 The newest book in the best-selling, award-winning A Child's Introduction series explores the popular and captivating world of Norse mythology. Organized into two parts, part one introduces characters like Odin, the leader of the Norse gods; Thor and his mighty hammer Mjollner; Frigg, weaver of the destinies of humans and gods; frost and fire giants; cunning dwarves like Brokk and Eitri; and many more. Part two tells the stories of the suspenseful myths themselves including The Creation of the Cosmos, The Aesir-Vanir War, Loki Bound, Thor's Hammer and many more. Heather Alexander has written numerous books for children including previous titles in this series, A Child's Introduction to the World, A Child's Introduction to Greek Mythology, and A Child's Introduction to Art. She is a former book editor and lives in Los Angeles, CA. Meredith Hamilton has illustration the previous eight books in the Child's Intro series. Her other illustration work includes apps for children, cookbooks, and Steuben glass. She lives in Brooklyn, NY.